Here we are in week three already. Last week was all about Dorothea Lange’s transformation from portrait and studio work, to documentary work with the Farm Security Administration (FSA). The FSA terminated Lange January 1, 1940 and completely disbanded in 1943. Many of the FSA photographers considered their time at the FSA a highpoint of their career. This was particularly true for Lange who took her termination hard and continued to search for projects that would be like the FSA work. This week, we will discover that she used her camera to document another group of Americans whom she hoped to aid with her images. Unfortunately, her work was hindered in many ways, and many of the resulting images were impounded and stored in the National Archives. Many of these images were unknown and unseen until recently. So, let's explore her work now, shall we? In 1942, Lange was hired to photograph the incarceration process of more than 100,000 Japanese Americans. Why? What did these Americans of Japanese ancestry do that would warrant incarceration you might ask? Well, they MIGHT be disloyal. So, your follow-up question might be: Why would Dorothea Lange want to become involved in such a project? Lange saw an opportunity to create a photographic narrative telling the story of what was happening to this group of Americans based solely on race. Ultimately, since Lange was required to provide all film, negatives, and prints; having no other access to her work, she did not see the resulting images from this work until 1964. I find this body of work very difficult to write about without inserting my own opinion. I hope you will search and read more information about Lange’s work, as well as read about the internment of Americans during this period, because, as George Santayana said, “Those who cannot remember the past are condemned to repeat it”. Form your own opinion. But, from a purely artistic standpoint, you should appreciate that Dorothea Lange created classic images in less than optimal conditions. She put her Guggenheim Fellowship for excellence in photography on hold to pursue this documentary work which was not made available to the public until recently. 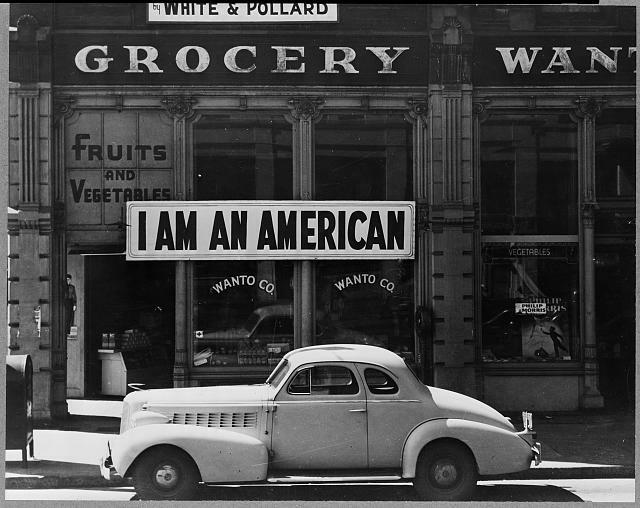 PBS's American Masters has a documentary titled Picturing Japanese American Internment: Dorothea Langethat may be of interest.